February 11, 2013 | EMM Main Blog | Kenny Luck	What The Heck Is A Mantle? A mantle, I discovered, is nothing more than something that covers or surrounds something else. The fuzz covering the horns of a male deer, for example, is called the deer’s “mantle” because it completely encapsulates the actual horn until it wears off. The key words here are “covers” and “surrounds.” To be sure, a deer was not the first image of leadership that popped into my head, but the idea driving it in my man-brain was spot on. Let’s complete this round trip: men carrying a mantle of leadership. 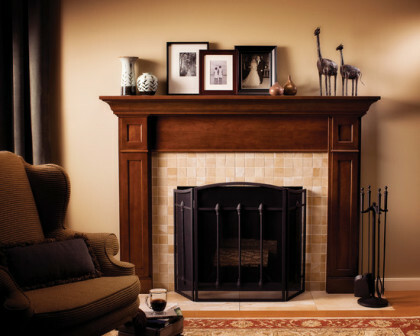 A mantle is something that covers or surrounds something else. When it comes to family, God says you, the guys, are the mantle. In other words, your leadership style; your way of leading, — for better or for worse, covers or surrounds your wife and/or your children. In this series we’re going to learn the keys of having a strong mantle of leadership at home. To find good leaders, we simply determine a man’s leadership capabilities in another area of his life that supersedes his leadership in the church, namely his home. God himself is quite interested in our “mantle” and how we carry it — especially in our families. The Bible talks about how your influence in the home is the truest reflection of the quality of your leadership and the most important predictor of your leadership in other zones of influence. For the past two decades, I have seen men self-deceive and self-destruct unnecessarily in boyish attempts to be validated professionally, instead of relationally. It’s sad to watch from the outside, and even sadder for the men themselves as they fall asleep at night knowing that their outward success or image is haunted by the reality that they lack the inner meaning that only strong relationships in a family can provide. The wisest and most spiritual men I know discipline themselves toward family relationships. They work hard to slay their inner dragons to win intimacy in the home. They know relational integrity and commitment are the stuff of real men. They value the respect of their wife and children as the apex of validation. They agree with God: first things first. In a time like now when the church needs more leaders, when the world needs more justice to women and children who are suffering under poor male leadership, when the culture is dying for a healthy man, where does it all start? Well, it starts in the home. Fortunately, there is a safety net for all of us who are falling short, need help, or need strong reminders to refocus. Ready? To provide a healthy mantle of leadership in our homes we have to experience a healthy mantle of sonship first. This means experiencing a strong model of love from a strong mentor in love in the form of another man. This shocks people when I say it, but it explains most of the character defects behind all sorts of unhealthy mantles among men worldwide: a man will never be able to love others in a healthy way until he has received validating love, acceptance, and affirmation from another man in his life. It’s that simple, and that powerful. Every man ever born needs to be covered and surrounded by the healthy love of a father in order to give the same away. That is why I encourage all men to explore, encounter, and personally engage the love of God, as a child of God, through the Son of God. This is the indestructible foundation of a strong mantle — a father’s love for a son.